Listen to Karl Schieneman, Founder and President of Review Less talk about his humorous take on the Occupy Movement and applying it to LegalTech in support of predictive coding. What better place is there to stage a protest against the limited use of predictive coding other than LegalTech? There will be plenty of vendors who have predictive coding or forms of these tools demonstrating their capabilities. So for the curious, this is as good a place as any to learn about the tools. I have personally looked at about a dozen tools and compared them to academic studies of human review using key words or just pure responsiveness coding. They all outperform linear review. Numerous judges have approved the use of predictive coding in articles, blog posts and here at ESIBytes. Yet still, the field is only slowly considering these tools. To me that sounds like fertile ground for a protest. 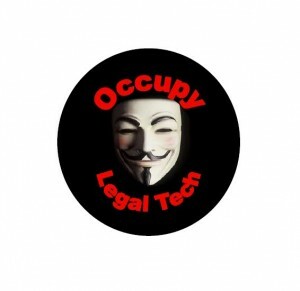 So the idea for Occupy LegalTech 2012 was created. Listen to this show to learn more about this spontaneous, social media fueled protest. Hope you enjoy the show and I look forward to meeting listeners of this show at LegalTech this year and talking about the Occupy LegalTech movement, handing out humorous buttons and discussing other podcast ideas.